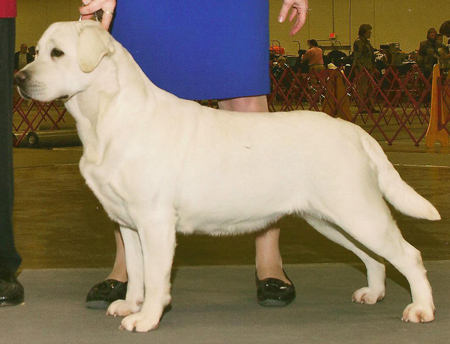 WB Northern Neck KC of Virginia Judge James Bowron (Fortune Labradors) 2 pts. WB Forsyth Kennel Club Judge Mr. Kenneth A. Buxton 3 pts. WB/BOB Huntsville Kennel Club JUDGE: Ms Peggy Beisel-McIlwaine 1 pt. WB/BOS Decatur Alabama Kennel Club JUDGE: Mrs Gloria L Geringer 1 pt. 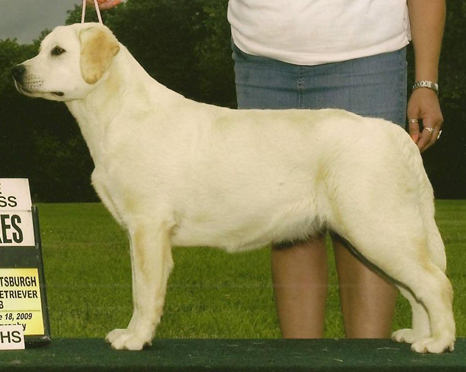 WB/BW/BOS Decatur Alabama Kennel Club JUDGE: Mrs Wendy G Willhauck 1 pt. BOB, BOW, WB Virginia Beach Kennel Club Judge Mr. Tom Hale 1 pt. WB Maryland Kennel Club Judge Mr Robert H. McKowen 2 pts. WB/BOS Southern Maryland KC Judge Walter Sommerfelt 1pt.